From time to time we come across dogs who have found their perfect match in the form of another canine companion. When a bonded pair arrive at the Home we know we need to search for a special kind of person who is willing to open up their heart and their home for not one, but two loving dogs. 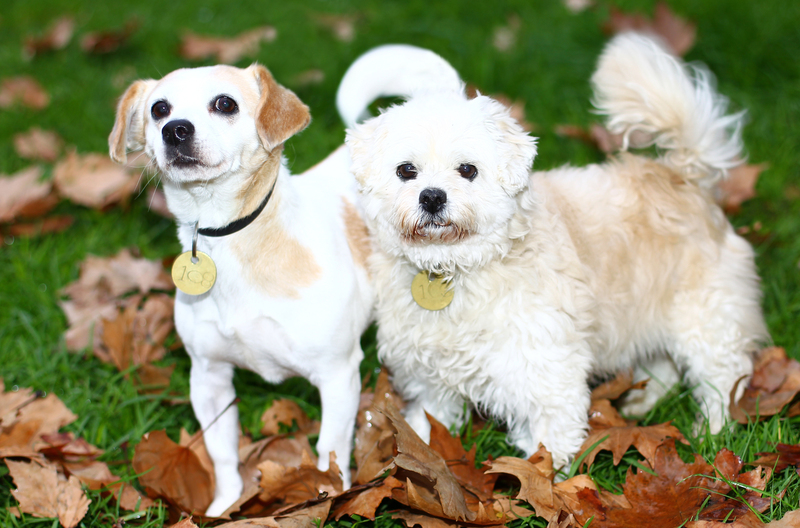 When eight year-old Maltese cross Wee Jock and seven year-old Jack Russell Terrier cross Jenny came into the Home after their owner passed away, it was clear from the start that these best mates need to be rehomed together. According to Brian, the previous owner’s son, the devoted pair have spent every day together for a number of years and thoroughly enjoy spending time with each other. “Wee Jock and Jenny have been together for the last five years and are inseparable. Often you won’t be able to cuddle up to one of them without the other wanting to be part of the action; they are very affectionate dogs who have no problems approaching people,” said Brian. With years of experience under their belts, these golden oldies have lively, loving personalities, which are obvious from the moment you meet them. For Brian, it is important for this good natured pair find a new, loving, forever home with owners who will appreciate their unique bond. “In return, their new owners would be getting two beautiful little dogs, who have wonderful manners. They are a well-behaved, affectionate pair,” said Brian. If you are interested in adopting this adorable bonded pair come to our North Melbourne shelter at 2 Gracie Street, North Melbourne and meet them in the fur.